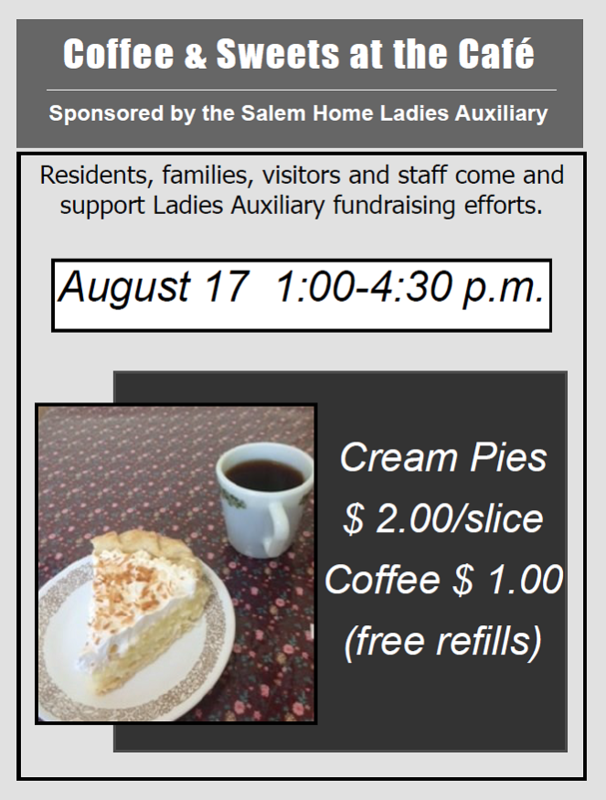 The Salem Home Ladies Auxiliary are serving coffee and cream pie at the café this month. Come on down to the Heritage Room on Friday, August 17th from 1:00pm-4:00pm to support the Ladies Auxiliary. Thank you to the members of the Salem Home Ladies Auxiliary for all your dedication and passion for the residents.